Wild Foals Killed By BLM at Triple B Round-up. Wild Horse Babies Killed by BLM at Triple B Roundup (courtesy of horse lovers and advocates, R T Fitch and Laura Leigh). There are 30,000 some-odd wild horses left on the range, with more than that number already warehoused in government holding facilities, while millions of cattle graze the horses’ land for a pittance, a practice dubbed “welfare ranching”. The 1971 Wild and Free Roaming Horses and Burros Act protects the horses from this type of harassment. And yet, here we have a round-up resulting in multiple deaths of very young foals and more warehousing of wild horses, which under the act is both prohibited and unlawful. What’s the point of enacting laws that are continuously broken, disregarded and ignored? How long will this abuse and harassment of our wild horses go unchecked even by courts of law? I dread the day I post that the wild horses are no more. Because if the BLM under the Obama Administration continues with business as usual, that day may not be too far off. I, for one, shall continue to do what I vowed: to use my writing to lend a voice to those without voices, whether teenaged characters struggling with hard choices, or our wild mustangs, relentlessly targeted for their land and its resources. Awareness is the first step toward change. Please help spread the word — so many people are unaware of what’s happening to America’s wild horses — and perhaps our voices will be heard before it’s too late. 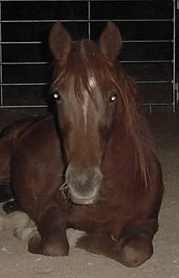 Shooting Star, my Nevada wild mustang saved from slaughter. BLM Round-Up Of Iconic Pryor Mountain Mustangs. SIGN HERE: Stop the Massive Removal of Cloud’s Wild Horse Herd. The month of September was full of tragedy and also a lot of hope. 57 horses, aged less than one month to over 21 years old were removed from their home in the Pryors. Rain, Image, Arrow, Ember, Sage and Summer were among the young horses to lose their freedom and families. I can report that all are doing well in their new homes- the real tragedy of this roundup was the removal of ten horses over the age of ten and the total number of horses removed- the Pryors herd is now only at 125. Montana’s only remaining wild horse herd is now below the levels recommended for minimum genetic viability and a number of the horses on the mountain top, including Cloud, are still lame. Read the vet report and an article here. Read more on our blog, and from Horseback Magazine here. Thanks to you and amazing efforts by Billings residents, the four family bands who were removed in their entirety from the Pryors are back together on a beautiful ranch in Montana, located at the base of their mountain home. Watching Conquistador reunite with his mare, Cavalitta, and Bo, Shane and Trigger do the same with their families was certainly a miracle. Listen to Ginger Kathrens describe these events and more here. Thank you to everyone who made this possible, through your donations to the Freedom Fund, your action and your support. Donations for the continued work of the Cloud Foundation and care of these horses are still needed, please donate here. From the auction the Cloud Foundation took the horses’ cause to Washington DC. Many advocates spoke at the BLM Wild Horse and Burro Advisory board meeting but this board is stacked against the horses and behaves much like the BLM. However, the next day we had a marvelous press conference at which Congressman Grijalva spoke and took questions. The group then met with over 45 Senate offices for “Mustangs on the Hill” to support the ROAM Act (S. 1579). Read more about these events here. Full video coverage of the Advisory Board Meeting and Press Conference should be up on the www.nvHorsePower.org site this week. But the roundup of Cloud’s herd is really only the tip of the iceberg. BLM just announced plans to remove over 12,000 wild horses and burros from the wild this fiscal year (Oct. 1, 2009 – Sept. 30, 2010). Last year the BLM threatened to kill the 30,000+ wild horses in holding but now they are using nearly all the additional funding to round up a record number of our wild equids. 12 herds are being zeroed out right now in Nevada; 1000 horses are to be removed from Wyoming this month alone— it goes on and on. This is mismanagement of our living national heritage with millions of taxpayer’s dollars and the real losers are the horses and burros. TAKE ACTION: Please take a moment today to write and call both your US Senators and ask them to support the ROAM Act (S. 1579) which is currently in the Senate Energy and Natural Resources Committee. The new Cloud program, Cloud: Challenge of the Stallions, will air on October 25th on PBS stations nationwide. Let’s keep up the momentum to stop, or at the least, limit, the massive roundups already underway. 20-plus million acres have already been taken away from the wild herds and they should be returned. Plan a get-together to watch the new show and then write letters to your senators and take action to preserve and protect all our wild herds. Conquistador is now back with his mare on a ranch in Montana. Senator Landrieu, Congressman Grijalva Join Public in Calling for an Immediate End to the Mismanagement of the West’s Living Legends. LOVELL, WY– September 17, 2009 — Once wild and free, living in spectacular sub-alpine meadows designated by Congress as their home, 57 wild Mustangs now wait in dusty pens in the 90 degree heat. The BLM pens sit at the base of the Pryor Mountain Wild Horse Range of Wyoming and Montana. The corrals offer no shade for the wild horses, now branded, with ropes and numbers around their necks. 19 year-old Conquistador is no longer a proud band stallion. He is number 5336. 21 year-old Grumpy Grulla is no longer a lead mare. She is number 5321. The Pryor Mountain wild horses have been made world famous by the popular PBS Nature series that has followed the pale Palomino Stallion “Cloud,” throughout his lifetime. The third program will air this Fall in October, but many of the horses the world will meet next month are among those being put up for sale and adoption at the Britton Springs corrals in Lovell, WY on Sept. 26th. “They are losing what they value most – their freedom and their families,” says Ginger Kathrens, Volunteer Executive Director of the Cloud Foundation. “Despite a National outcry and letters from Congress demanding that the BLM halt these roundups until an acceptable long-term plan is made, we have yet to see them make a single concession to an outraged public. Somewhere along the line BLM forgot that these are the public’s horses on the public’s land.” Kathrens continues. Great hopes for change lie in the Restore Our American Mustang Act (ROAM- §1579), now in the Senate Energy and Natural Resources Committee. Advocates are planning a gathering, “Mustangs on the Hill,” in Washington D.C. on September 29th. Supporters of preserving our wild herds will fan out and meet with key Senate staffers and Senators. “The ROAM Act comes too late for thousands of horses, but we are hopeful that Congress can ride to the rescue for our wild horses,” states Arizona advocate, Julianne French. The Wild Horse and Burro Act of 1971 saved wild horses in the American West from complete destruction. Since then, the BLM, charged with their protection, has failed to follow the Act. Nearly 20 million acres have been taken away from the dedicated land set aside for America’s wild horses. Over 30,000 wild horses are held by the BLM at a cost of over $100,000 per day according to Ed Roberson, Department of Interior official. Advocates are demanding that the wild horses be returned to the rangelands that were stolen from them. Congressman Grijalva (D-AZ) called for a stop to all roundups and Senator Landrieu (D-LA) recently called for the management of wild horses to be taken away from the BLM altogether. The small Spanish mustangs in the Pryor herd, descendents of the Lewis and Clark expedition horses and the original Crow war ponies, may not be aware that their highly contested roundup and subsequent removal has created a wave a protest from Thoroughbred racing forums to front porches in South Texas. Action Alert: Mustangs On The Hill. America’s mustangs are the descendants of wild horses brought to the New World by Spanish explorers and missionaries in the 16th century. Others come from stock that were released or escaped from miners, ranchers, homesteaders and others who settled the West. Although horses evolved in North America there are many different opinions as to why no horses or burros existed on this continent at the time of European exploration. Spanish explorers reintroduced horses to North America beginning in the late fifteenth century and Native Americans helped spread horses throughout the Great Plains and the West. Until as recently as the mid-twentieth century, horses continued to be released onto public lands by the U.S. cavalry, farmers, ranchers, and miners. 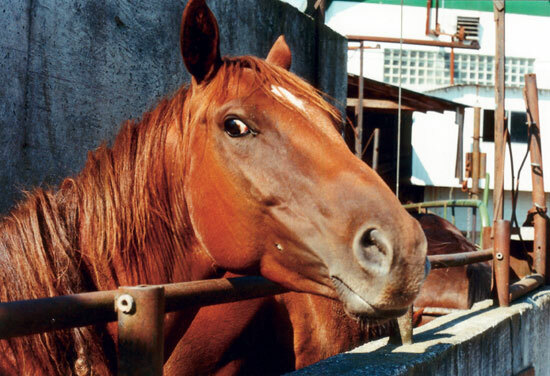 By the mid-20th century, domestic markets for pet and chicken feed and European markets for horse meat emerged, further reducing the number of wild horses and burros remaining in the West. 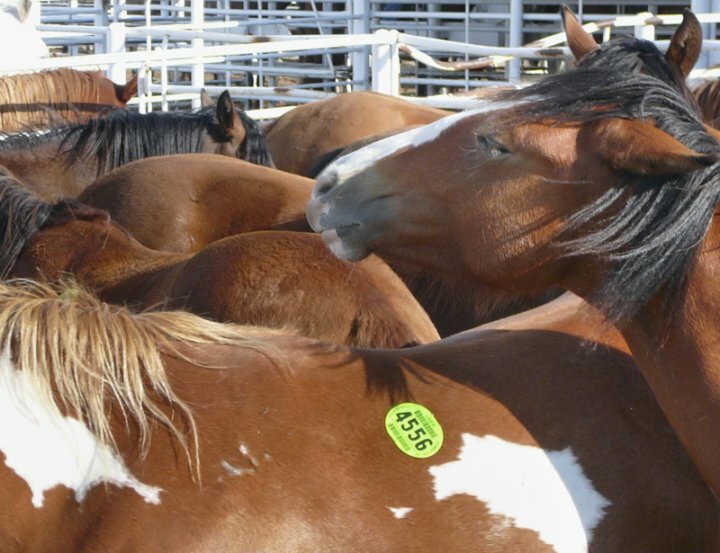 Public concern escalated in response to the brutal methods used by mustangers to capture and transport wild horses for sale to rendering plants. Horrified by the gruesome practices, Velma Johnston spearheaded a “Pencil War”, a letter writing campaign that generated more letters to Congress than any single issue besides the Vietnam War! Thousands of letters were written by school children concerned for the horses’ welfare. Once again, here’s your chance to change the world and make it a more humane place for America’s wild mustangs and burros. Public outcry saved them in 1971 through The Wild Free-Roaming Horses and Burros Act; I know, by joining together, we can do it again. It’s a sad thought to imagine losing the wild mustangs and burros to extinction, let alone other outcomes such as slaughter, abuse and neglect, injury, and the terror inflicted during and after BLM round-ups. Just as sad is the thought of the world’s children and future children never having the chance to witness the grace and beauty of these animals — running free as they’re meant to be, on the land America promised them, across this great country born from their backs. On so many levels, America wouldn’t be America without the horses and burros. The least we can do is protect instead of inflict, respect instead of betray, stand up for instead of turning away, and offer our outrage instead of our apathy. Their lives and well-being depend upon it. Their continuing presence on this earth depends upon it. Below is an Action Alert from the American Wild Horse Preservation Campaign. Please do your part, and thank you for helping save the horses. Tomorrow, Tuesday, September 29, is ‘Mustangs on the Hill’ Day: Wild horse advocates will be lobbying their Senators for the passage of S.1579, the Restore Our American Mustangs (ROAM) Act. This critical bill, which passed before the House of Representatives last July, amends the Wild Free-Roaming Horses and Burros Act by adding important new protections and provisions, such as the banning of helicopter roundups and the reclaiming of land lost by America’s wild horses over the past 30 years. 1) Denounce the aggressive wild horse removal campaign currently under way at the behest of special interest groups and at the cost of millions of our tax-dollars. 2) Tell them that our tax-dollars would be better spent on an in-the-wild management program not based on removals. 3) Call for a moratorium on roundups until actual numbers of wild horses on public lands have been independently assessed. To locate your Senators, please visit www.senate.gov. Please also call the Senate Committee on Natural Resources at 202.224.4971 to express your support for wild horses and the ROAM Act. The last remaining wild burro heritage herds in California’s Mojave Desert are threatened with removal this week. Please take advantage of this lobbying day to also call Senator Feinstein’s office at 202.224.3841 and ask her to intercede with BLM officials and put a stop to these roundups. On behalf of America’s wild horses and burros, thank you for your support! Protest Wild Mustang Helicopter Round-Ups. It’s a guarantee there will be times in life that circumstances out of our control leave us feeling helpless and impotent. There will be situations screaming for change that contain no easy answers. There will be the normal feeling of wanting to turn away, to close our hearts and shut our eyes because bearing witness feels too painful. Such is the stuff life is made of, oftentimes messy and unfair, brutal, harsh, unforgiving and cold more often than it is comforting, inviting, simple or beautiful. That’s why it’s important to do what you can, when you can, for those who are truly helpless, voiceless, and discounted — for those whose very lives balance upon the compassion and mercy of very flawed human beings. One such example is our country’s horses — America’s wild mustangs need you desperately. Their well-being depends upon your willingness to speak out and say enough is enough. Some people don’t know it, but these horses belong to the public — they’re OUR horses. Our voices raised together can decide their fate, and they need us now more than ever. Thank God it’s never too late to change the world. I’m sure you can understand how, just like human beings, horses crave open spaces, freedom, life’s small comforts, and the safety of their family and children. Just like we’ve built our own towns and cities, horses live in herds, well-functioning little communities, which have their own politics and systems, being intelligent, social animals, no different than human beings. Like us, horses avoid fearful situations, harm coming to their families, stressful living. However, unlike our own otherworldly Gods, WE are the Gods, to horses. We, as Gods, have the power to approve or deny all that is right, necessary and sacred to a wild horse’s existence and survival. On Wednesday, May 20, the Bureau of Land Management (BLM) will conduct a public hearing to discuss the use of motorized vehicles or aircraft in the monitoring and management of wild horses and burros on public lands in Nevada. Please contact BLM to protest the harsh practice of chasing wild horses and burros with helicopters, often over exceedingly long distances. Please also ask that what appear to be no-bid contracts to BLM’s primary round-up contractor, Catoor Livestock Roundup, Inc., totaling about 18 million dollars (our tax dollars!) since 1996, be subject to review. BLM’s primary concern in round-up operations continues to be efficiency, to the detriment of the horses’ welfare. Instead of helicopters, urge officials to use bait trapping, a much safer and more humane method of capture. 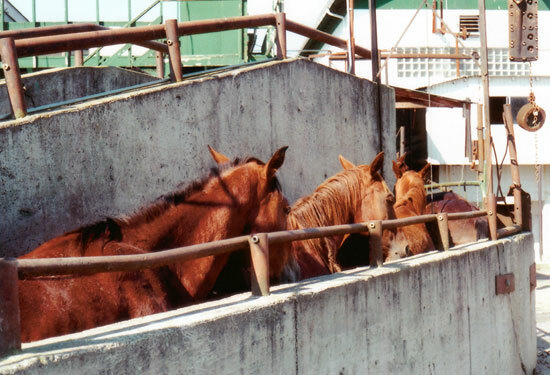 BLM has refused to use bait trapping in such instances as the 2007 Jackson Mountain round-up, when 185 horses ended up dying at the holding facility due to stressed immune systems. Demand that limits on distances over which horses may be chased be enforced, and that accountability and penalties be established for round-up contractors who violate humane handling procedures. The hearing will be held at 10 a.m. in the Great Basin A and B conference rooms at the BLM Nevada State Office located at 1340 Financial Boulevard, Reno, Nev. To make oral or written statements to present at the hearing, contact JoLynn Worley at (775) 861-6515. Written comments can be emailed to: nv_gathers@blm.gov or mailed to: BLM Nevada State Office, Attention: Helicopter Hearing, P.O. Box 12000, Reno, NV 89520 and must be received by Tuesday, May 19 to be considered at the hearing. For eye-witness accounts of helicopter round-ups, please click here. Click here to join our email list and receive the latest updates. I’m writing to insist that you cease helicopter round-ups due to the stress and cruelty they pose for wild mustangs. Please use bait trapping, a much safer and more humane method of capture. Please enforce limits on distances over which horses may be chased. Lastly, I insist upon accountability and that penalties be established for round-up contractors who violate humane handling procedures. What did you do to change the world, today? Once again, here’s your chance.